Register by clicking HERE. For payment, please direct transfer the amount to SAHK's HSBC account as listed on the form and email to sgassn@sahkg.com a copy of the transfer slip. Member price is HK$398 nett. Non-member price is HK$498 nett. For example if Mary is a member she pays HK$398 nett. Her husband who is a non-member will pay HK$498 nett. 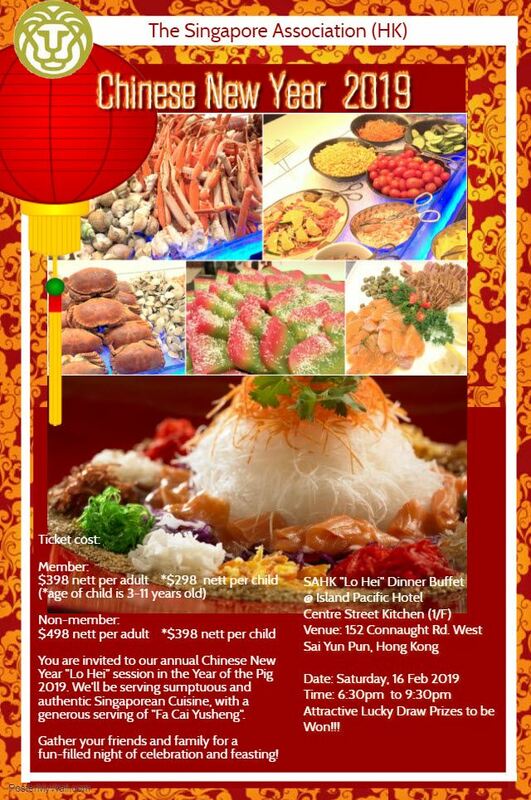 As long as one parent is a member of SAHK, the kid will enjoy member's price of HK$298 nett each. Ticket cost for non-member's kid is HK$398 nett each.